Susan Calman hosts the quiz show where being in control is everything. Susan Calman puts contestants through their paces to find out who is the Boss. Five players compete, but who will survive the leadership challenges to walk away with the cash? Susan Calman hosts the quiz show where being in control is everything. Who will emerge as the Boss and walk away with the cash? Only the strongest players will survive the game. 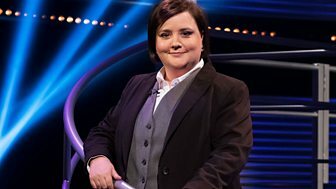 Susan Calman hosts the quiz show where being in control is everything. Who will emerge as the boss and walk away with the cash?